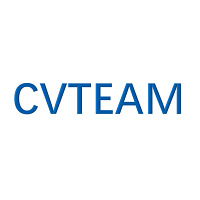 CVTEAM is a laboratory of Cognitive Vision Towards Evolvable Algorithms and Models. It is attached to the State Key Laboratory of Virtual Reality Technology and Systems, School of Computer Science and Engineering, Beihang University. Currently, CVTEAM is hosted by Prof. Jia Li and the students under his supervision. Members of CVTEAM are now mainly now working on fundamental vision problems such as attention & saliency, image/video segmentation and semantic understanding. Intelligent tools for processing big visual data are explored as well. Some members also pay attention to integrate CV and VR. With the invaluable contribution of all CVTEAM members, we believe that something useful can be produced in the next ten years. The long-term objective of CVTEAM is to do something that can change the world with cognitive vision techniques that can evolve to work in realistic scenarios.